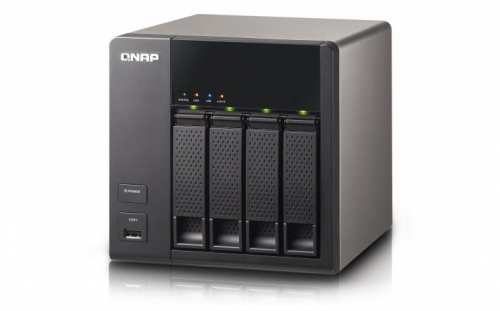 QNAP TS-469L - ACE Peripherals ::: Completing I.T. The TS-469L is a powerful yet easy to use networked storage center for backup, synchronization, remote access, and home entertainment. As your personal cloud, you will always be connected to your files and your files are always under your control. See how TS-469L featuring the QTS 4.0 can make your digital life easier, simpler and more convenient. Enjoy the App Center with more than 100 install-on-demand apps to increase diverse applications on the TS-469L. The TS-469L provides system installation without using a CD. 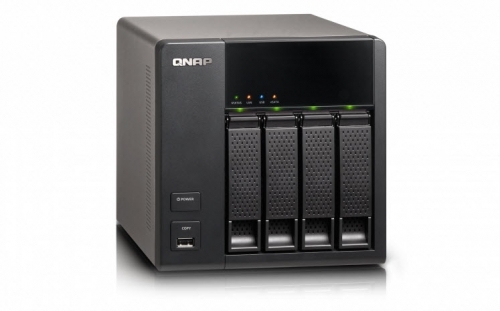 Simply visit the setup portal start.qnap.com ,and follow the setup guide to complete the system setup and download the utilities you want. For beginners, the TS-469L features an "Auto Setup" option to provide an easy way to set up the TS-469L with recommended settings. All settings can be flexibly changed at a later time after the installation. 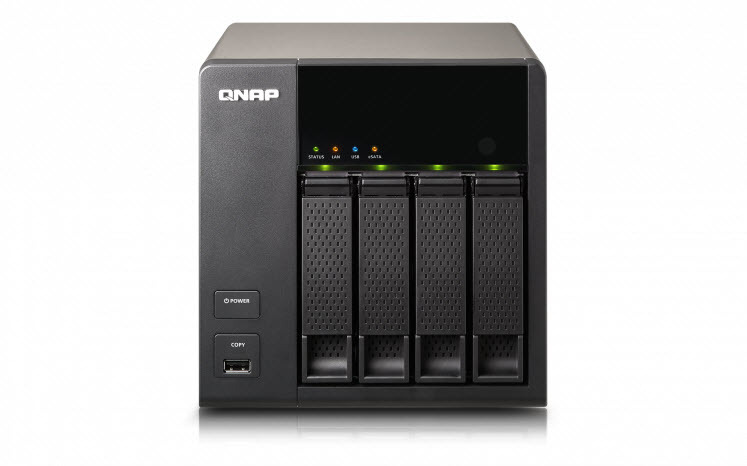 The QNAP App Center provides a wide range of apps developed by QNAP and third-party developers, including tools for backup/sync, business, content management, communications, download, entertainment, and much more. The App Center is a centralized location for installing, managing, and updating apps on demand. 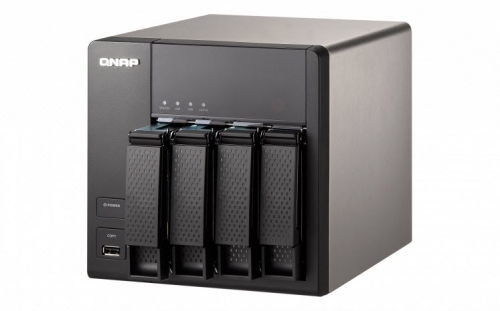 In addition, QNAP's development platform embraces the open-source spirit to enable developers to create their own apps, adding potentially limitless opportunities for the TS-469L. 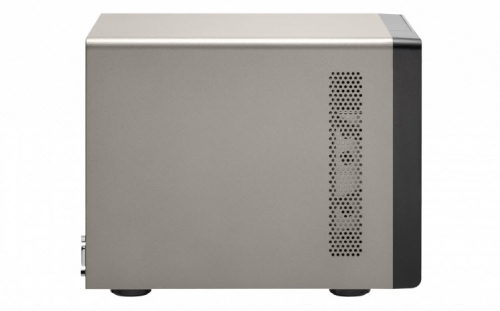 The TS-469L is an 4-bay model for home and small offices. 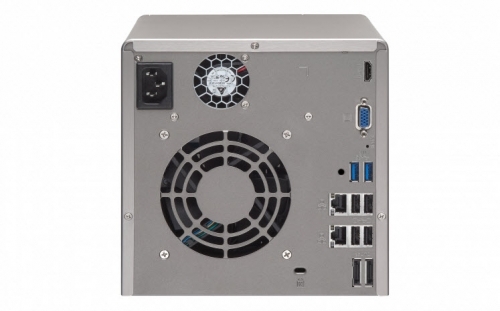 Featuring a powerful Intel® Atom™ 2.13 GHz Dual Core Processor, the TS-469L delivers excellent performance in file storage, multimedia applications and serving concurrent tasks at the same time. The TS-469L provides 2 X USB 3.0 ports which enable speedy data backup to external storage devices. Supporting SATA 6Gb/s and 3Gb/s hard drives and various 3.5”/2.5” hard drives and SSDs, the TS-469L provides users with high flexibility in selecting hard drives. The various inbuilt I/O ports help accommodate different peripherals, including external storage devices and printers. Meanwhile, the TS-469L allows file sharing and storage on different operating systems, such as Windows, Mac, Linux and UNIX. The simplified system setup process and the friendly-designed graphical user interface enable anyone to easily build up a business private cloud even without IT expertise. The TS-469L has flexible and diverse features, but is simple to use. 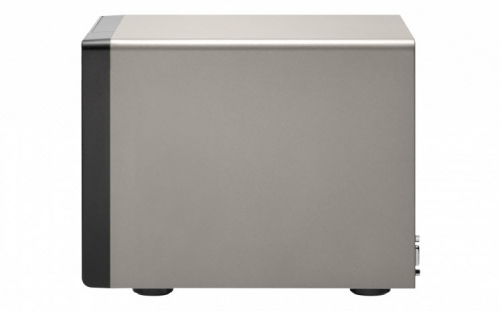 The TS-469L features green technology that assists in saving electricity. The smart fan can automatically adjust its speed based on system use while the hard disk standby mode sets the hard disks to enter standby mode if there is no disk access within the specified period. These features and more lower energy consumption and expand the lifespan of your system and hard disks. You can also flexibly set up automatic system power on, off, or reset the TS-469L. In contrast to the limited storage space and security concerns of public cloud services, the TS-469L is advantageous for establishing a secure and large-capacity private cloud. myQNAPcloud service allows remote access to the TS-469L from anywhere. You can easily get access to the TS-469L, instantly share multimedia contents and check the system status via the Internet whether you are on the bus or in a coffee shop. Is Dropbox not enough to satisfy your storage needs? With Qsync, your TS-469L is turned into a safe data center for file synchronization. Every file uploaded to the TS-469L will be made available for all linked devices including computers, laptops and mobile devices. Qsync is especially useful for frequent travelers as it ensures the most up-to-date files are accessible on all linked devices. Qsync provides multiple ways of file synchronization and group file sharing, greatly enhancing the flexibility of team projects and collaboration. The TS-469L acts as your photo vault for you to back up your favorite photos. The Photo Station makes photo sharing simple, and you can designate your own access right controls. Simply upload your photos to the TS-469L to create and organize your photo albums through a web browser, and share with your family and friends through social networking sites such as Facebook, Google+, Twitter and Pinterest. With the Qfile mobile app in your iOS® or Android™ devices you can instantly upload photos on your mobile devices to the TS-469L. With the HD Station, you can connect a HDTV to the TS-469L via HDMI to enjoy high-definition multimedia content stored on your TS-469L , surf the web, and watch YouTube videos. Paired with the Qremote app or Official XBMC Remote app, your iPhone or Android devices can turn into a remote control for the HD Station. With being DLNA compliant, you can view photos, play videos, and listen to music on the TS-469L on any DLNA devices, such as HDTV sets, video game consoles and Hi-Fi systems. Building an amazing home multimedia center is easy with the TS-469L. The Digital TV Station extends your multimedia experience to digital TV programs. Insert the DVB-T USB TV tuner to the TS-469L , and then you can log on to the Digital TV Station web interface to watch or record digital TV shows. The over-the-air EPG (Electronic Program Guide) is available for scheduled recordings. Just set recording schedules, sit back, and enjoy the shows on your computer whenever it's convenient. The TS-469L is a perfect download center for high speed BT, Magnet, PT (Private Trackers), eMule, FTP, and HTTP downloads. After the download tasks are set ready, you can turn off the computer, and the TS-469L will download as many HD videos as you want. With the QGet utility you can manage your download tasks on multiple NAS devices remotely on the local network or the Internet. The Surveillance Station turns the TS-469L into a professional surveillance solution with the user-friendly management interface, a wide range of compatible IP camera models, and expandable IP camera channel licenses. It also supports real-time monitoring, recording & playback with a wide range of customizable settings, and with the Vmobile app on your iOS® or Android™ devices you can manage the monitoring of cameras anytime, anywhere, for total surveillance of your monitored environment. The TS-469L is your private cloud storage that virtually enlarges the capacity of your smart mobile devices. Qfile allows you to access, upload, download, manage, and share stored files easily as if you are carrying tons of files in your pocket. The Qfile app for iOS also allows users to browse videos and photos stored on the TS-469L and play on the TV via AirPlay. Qmanager lets you monitor and manage the TS-469L remotely and efficiently without turning on a PC.